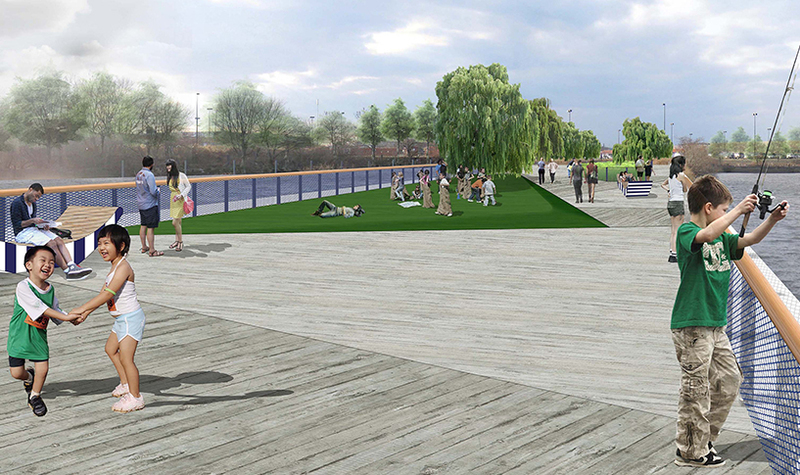 get link The Delaware River Waterfront Corporation (DRWC) engaged Bittenbender Construction, LP as the General Contractor for Pier 68, located at the end of Pier 70 Boulevard at the Delaware River. 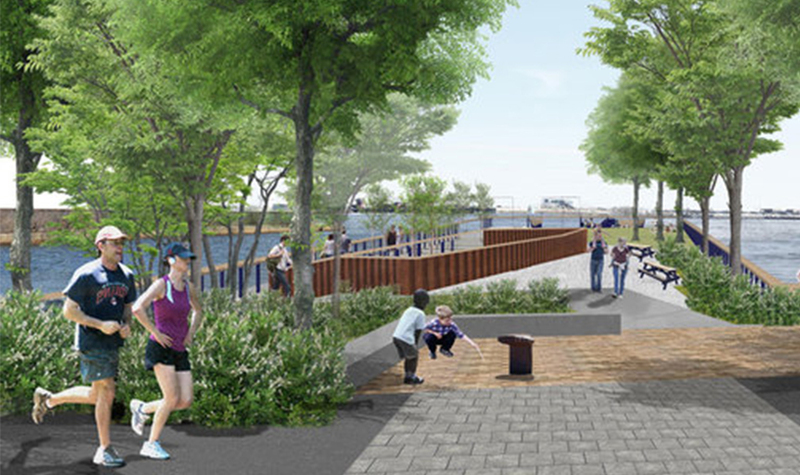 Pier 68 was designed and constructed in response to DRWC’s long-term programmatic goals for the area, turning the Pier into an attractive public space for recreation (specifically for fishing) and passive enjoyment of the Delaware River. viagra generico 25 mg spedizione veloce a Roma The once abandoned pier now features a 4.5’ deep Aquatic Cut into the pier surface that allows water to filter up through the lower wood deck to reveal the semidiurnal tidal activity of the Delaware River. Filled with native, aquatic plants, this space is a focal point for educators and curious visitors, creating a microcosm of the Delaware River’s pre-industrial ecology. Bittenbender partnered with Hydro-Marine to restore the structural integrity of the pier. The pier also features an angled lawn for lounging and sun-bathing. 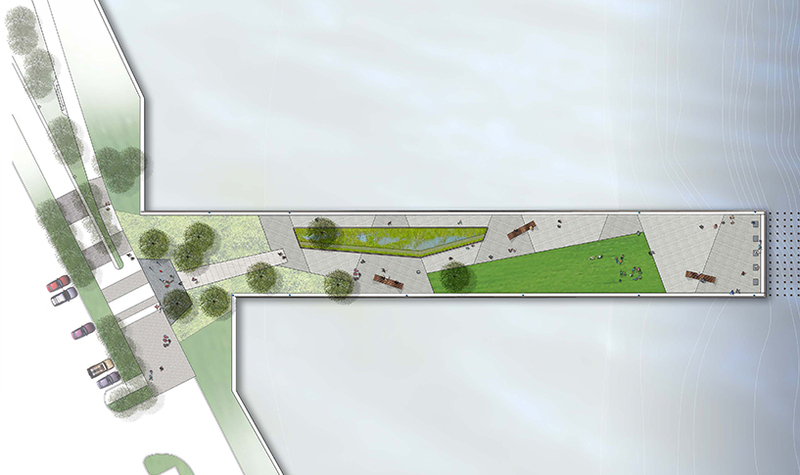 With proximity to the water and restored concrete paving, the Water-Side Walk and the open Pier Terminus supports a variety of events and activities such as recreational fishing or gatherings. Custom-designed wave-shaped benches create a unique and distinctive park element. The site houses representative habitats: freshwater tidal marsh, upland grasses, freshwater shrub wetlands, and wetland forests and woodlands. The project was completed over a period of seven months with the multiple design + engineering team members and private and public funding sources. http://cinziamazzamakeup.com/?x=dove-acquistare-vardenafil-generico-20-mg We’ve been building throughout the region since 2003; leading a new generation of contractors who are changing the face of Philadelphia construction.